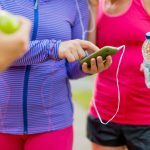 Home / Food News • Healthy Eating & Nutrition / Lactose intolerance and protein diathesis – what’s the difference? Lactose intolerance and protein diathesis – what’s the difference? Lactose intolerance is often confused with protein intolerance, i.e. diathesis. What exactly are the two ailments characterized by? How to deal with them and arrange nutrition plans for people who are allergic to lactose or protein? In case of lactose intolerance, sensitization includes only one component of milk – lactose. With a protein flaw – allergies can be caused by protein contained in cow’s milk, eggs or some types of meat. Lactose intolerance is a disorder of the digestive system. In such cases, the body has an impaired lactase secretion process – an enzyme responsible for the proper breaking down of lactose. Organisms of persons suffering from lactose intolerance either do not produce this enzyme or produce it in insufficient quantities. Ingestion of products with lactose causes them to reject this ingredient. This is manifested by disorders in the digestive system. Thus, there may be excessive secretion of digestive gases, a feeling of “overflow” in the stomach, bloating, painful abdominal cramps or diarrhea. What are the reasons for lactose intolerance? Most often, lactose intolerance has a genetic basis. We simply inherit the deficiency of lactase in the body from our ancestors. Usually, this condition occurs among adolescents and adults. Another cause of lactose intolerance may be a congenital metabolic disorder. 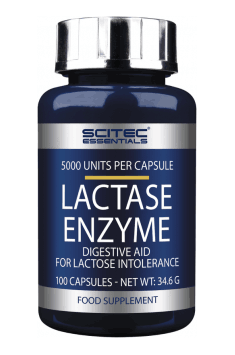 In such cases, the body simply can not produce lactase in any way. This condition can already be observed in newborns. Lactose intolerance may also have a secondary character. It is then the result of some diseases that cause damage to the intestines, including necrotizing hepatitis, celiac disease, cystic fibrosis or food allergy (eg for cow’s milk protein). Indirectly, the appearance of lactose intolerance may also be affected by the abuse of certain groups of drugs or the dairy-free diet. From an early age we are bombarded with the statement that milk is an essential element of a healthy diet. Milk and dairy products contain many nutrients necessary for the proper functioning of the body. This does not mean, however, that people struggling with lactose intolerance are excluded from a healthy lifestyle. On the contrary – we will successfully find many other food products that will replace dairy. What is the protein diathesis? Protein diathesis is a colloquial term for intolerance of protein contained in cow’s milk. Sometimes, however, this may also include other food products, such as eggs, citrus, meat or cocoa. On the other hand, casein – a component of cow’s milk – has the highest allergenicity. 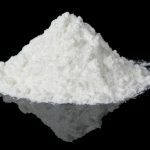 Sensitization also appears under the influence of whey protein. It is very often a base of nutrients for athletes. Protein intolerance is usually manifested by skin lesions or disorders of the digestive system. Sensitized people may have red pimples on the skin of the neck and face. We can also deal with diarrhea, reduced resistance to infections or so-called gastro-oesophageal reflux (withdrawal of food from the stomach to the esophagus). Headaches, coughs and vomiting are much less common. Food allergies concern inappropriate reactions of the immune system to consumed products. Unpleasant ailments are usually felt just a few minutes after their consumption. They are located in the area of skin lesions, sneezing, itching, oral edema or breathing disorders. This process is responsible for the appearance of a protein defect. In case of food intolerance, we are dealing with the impairment of the formation of specific digestive enzymes in the body. Symptoms may appear from a few hours to a few days after eating the article. This mechanism determines the changes in the body arising in people struggling with lactose intolerance. What are the causes for protein diathesis? Allergy to protein is caused by the same mechanism as other allergies. It may also have a genetic basis. Protein allergies are more common among people with allergies in the family. However, it is difficult to mention specific reasons for the appearance of a protein defect. The reactions of the body are clear. This recognizes the protein as a harmful substance and produces antibodies in the immune system. Thus, inflammation occurs in the immune system. People with protein intolerance (not only present in milk) are recommended an elimination diet. It involves periodic or permanent exclusion of products containing protein from the nutritional plan. Both cows’ milk proteins and those from other sources are excluded. What’s more, the diet for people struggling with protein diathesis should also exclude other products that can potentially cause allergic reactions, e.g. cocoa, soy, seafood or nuts. 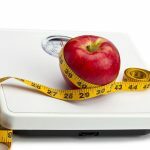 The second main assumption of the elimination diet is to supplement the nutritional plan with articles of similar nutritional value as those that have been excluded. They can therefore be hypoallergenic products, whey proteins (if they are not allergic to them) or vegetable proteins. Such a diet is usually used for half a year or a year. Then products containing potentially sensitizing proteins are gradually included in the nutrition plan. 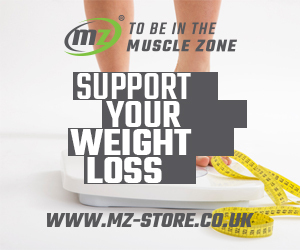 ELIMINATION DIET – WHAT’S ALLOWED? – fruits (excluding strawberries and citrus fruits). 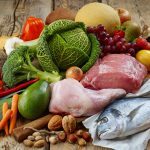 ELIMINATION DIET – WHAT’S NOT ALLOWED? – foodstuffs containing casein, lactalbumin and lactoglobulin. Protein diathesis – is supplementation recommended?? The exclusion of milk and milk products from the diet may result in deficiencies of vitamins and minerals in the body. Most often they concern calcium and vitamin D. The safe use of an elimination diet with a protein flaw, therefore, requires consultation with a doctor or dietitian. They will be able to assess the degree of deficiency. Thus, they will recommend possible supplementation of missing nutrients. Athletes suspecting protein flaws should also consult a doctor. This will avoid the unpleasant effects of consuming protein supplements. In the case of this condition, the use of such nutrients is inadvisable. An excellent source of calcium are foods such as groats, beans or lentils. Vitamin D can be found in blueberries or some types of meat.